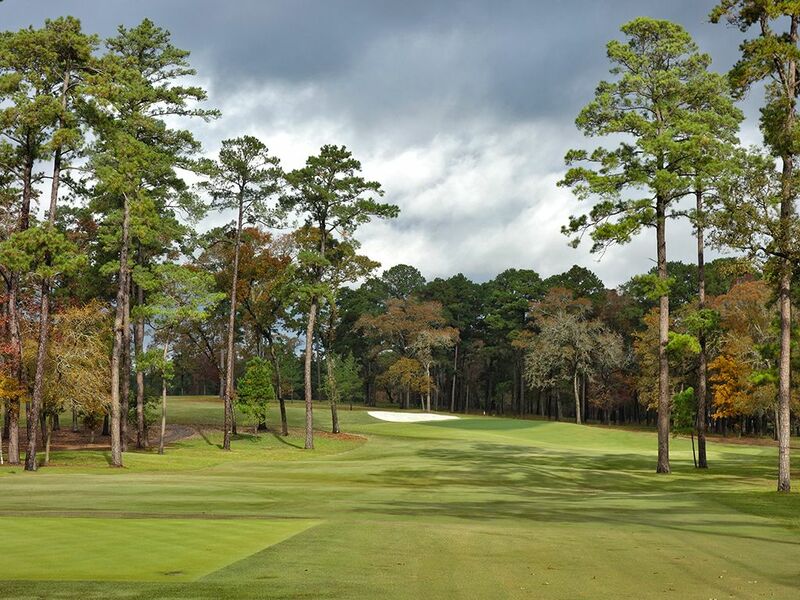 Course Website: Official Website - Visit Bluejack National's official website by clicking on the link provided. Accolades: Ranked 2nd in Texas and 77th overall by Golf Course Gurus. What to Expect: A lot of hype has surrounded Tiger Woods in his playing career and it has certainly carried into design career. 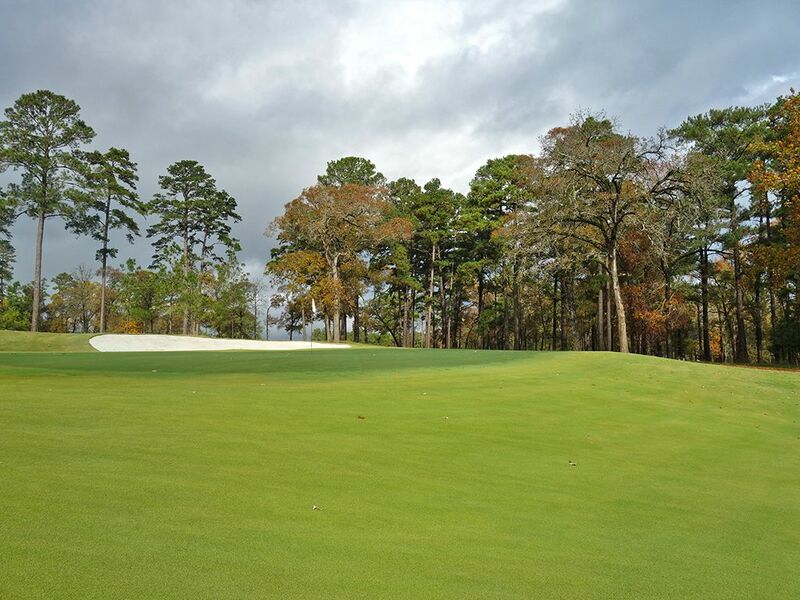 Located on the site of the former Blaketree National Golf Club northwest of Houston, Bluejack National is the first American course that Tiger designed and the golf community could hardly wait to see what was unveiled in April 2016 when the course opened. What people found was a playable golf course that was generous off the tee, Zoysia grass that is perfectly manicured, undulations throughout the property, and plenty of options around the sloping greens. You'll also find that the course is a nice walk and that your caddie will be plenty friendly and helpful throughout your round. One can't help but instantly make note of the striking similarities the course has to Augusta National with towering pines lining the wide fairways, sharp edge bunkers with white sand, and impeccable conditioning. You won't find any rough on the course and you'd be hard pressed to ever lose a ball; and who doesn't love that feature?! 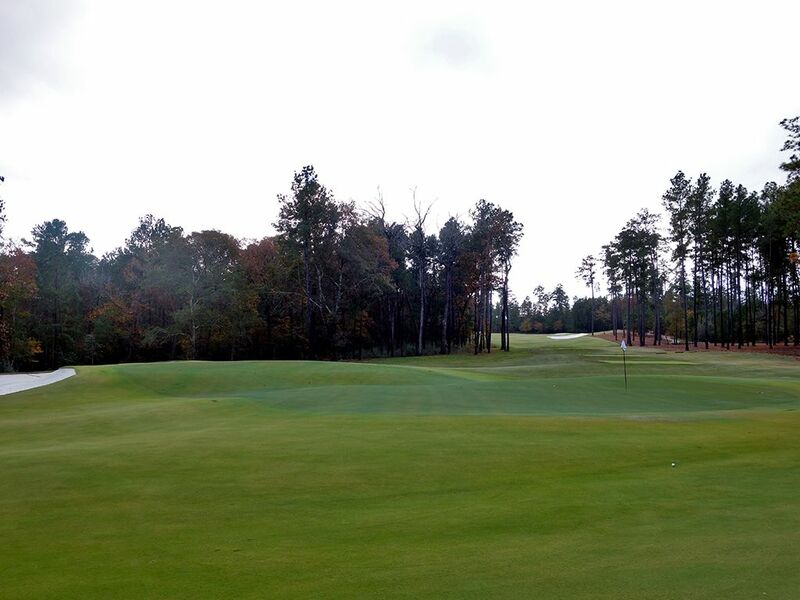 But don't mistake "playable" for easy at Bluejack. Tiger did a masterful job of creating interest with every hole but the true genius in the design is with the green complexes where the bunkering and slopes work together to offer both approachable pin placements and some treacherous ones. Like Augusta, picking your spots on the greens to attack can be the difference between a routine par and scrambling for a double bogey due to the sloping edges and interior tilts. 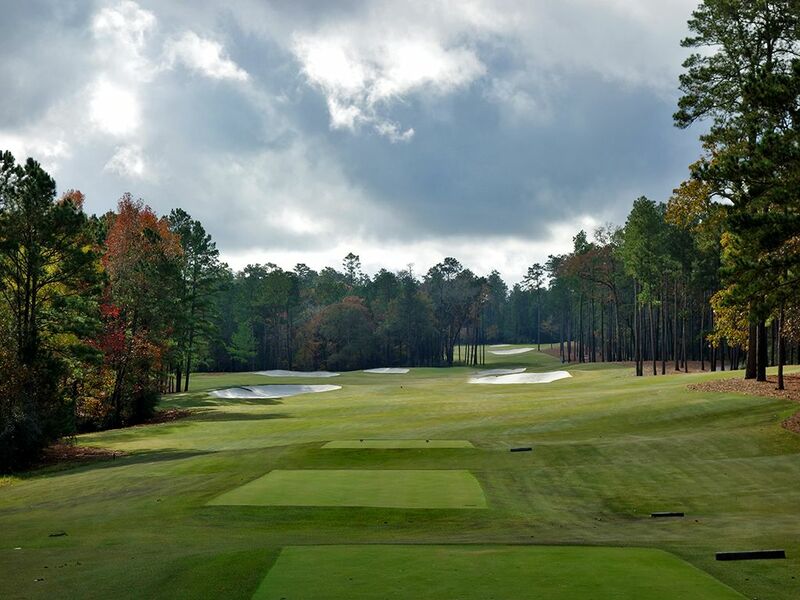 The club adds to the experience with some non-golf features that simply add to a great overall experience at Bluejack with two comfort stations. The first, named The Fruit Stand, features a full array of beverages, dried and fresh fruit, candy and snacks. The second comfort station, the BBQ stop, is located on the 12th hole and features smoked brisket and tri-tip jerky which are both to die for and a true tribute to the Lone Star State. Tiger didn't stop with the 18 hole championship course though, the family man recognized the benefit that a short course offers to kids, buddies, and players wanting to dial in their wedges. As such, The Playground was unearthed; a 10 hole course where the longest tee shot maxes out at 110 yards. It is the perfect compliment to a family centered club with a world class golf course. 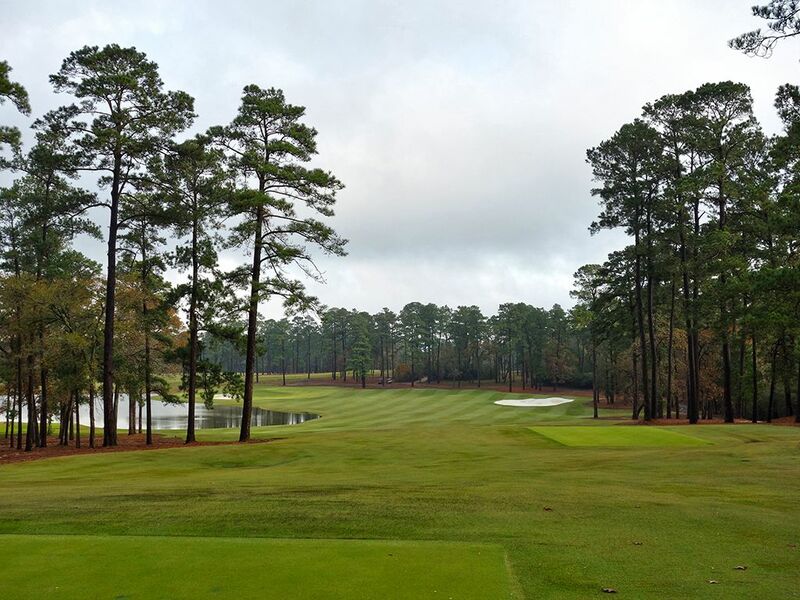 Bottom line, Bluejack National is exactly the type of club I would be a member of. The staff, facilities, atmosphere, and quality of the golf course are absolutely top shelf. Signature Hole: 12th Hole – 180 Yard Par 3 – Using the 12th hole at Augusta National as inspiration, Tiger created a stunning one-shotter that provides for the most dramatic shot on the course. This version leaves out the front bunker that Augusta sports and instead brings the water in closer to the putting surface to test even the best of player's merit. A pin on the left third is pretty accessible with the bailout area sitting next to the green and providing a simple up and down, while pins in the back third should be attacked only by those in the zone or that don't mind rolling the dice on dunking their Pro V1 in the water. The hole play ten yards shorter than the distance suggest due to the drop in elevation from tee to green and tee shots the find one of the rear bunkers will be left with an unnerving sand shot back towards the lake. After enjoying some quality Texas BBQ at the shack stand behind this tee, it is time to get dialed in for the shot you'll remember most at Bluejack National. 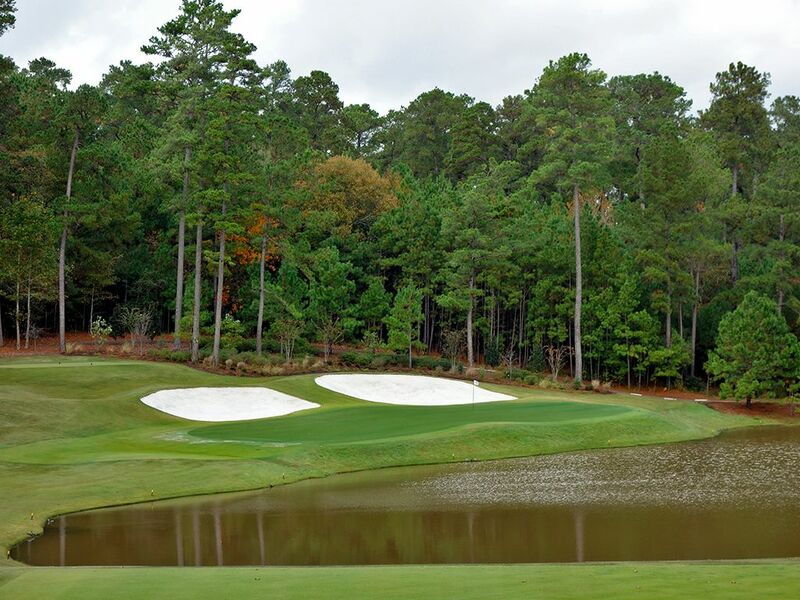 Best Par 3: 7th Hole – 137 Yards – Water only comes into play a few times at Bluejack National and this is one of those instances. Tipping out at 137 yards, the test here is distance control given the shallow target resting behind the lake fronting the putting surface. At this distance, every player should be standing over their ball with confidence and a scoring club in their hand; however, those feeling faint of heart have a bailout area to the right that with afford a generous angle across the width of the green. While many architects have resorted to punishing lengths from the tips, Tiger shows a keen eye for variety and finesse here with a short par three that has just enough trouble to not take lightly. 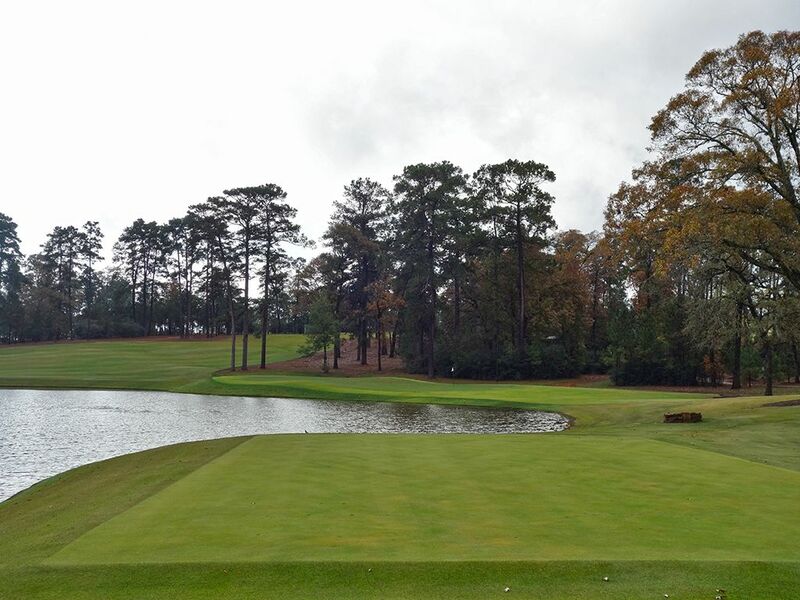 Best Par 4: 1st Hole – 428 Yards – Courses too often don't start with a memorable hole, but Tiger Woods bucks that trend with a fine two-shotter to set an early tone at Bluejack. After having your name announced by a staff member on the tee box, you are free to swing away on your driver downhill to the fairway waiting below. A lake is found on the left side and the fairway tilts towards it, so the smart play is at the inside corner of the bunker on the right side of the driving zone. The hole doglegs around the water and features a bunker short and left of the green. Bringing a ball in from the high side and working it towards the flag is the most prudent approach when attacking this green where through the air on utilizing the ground contours. In great risk/reward fashion, attacking the left side will shorten the hole and provide an optimal attack angle on your second shot, but a drive or an approach that gets too greedy up the left side will get wet. 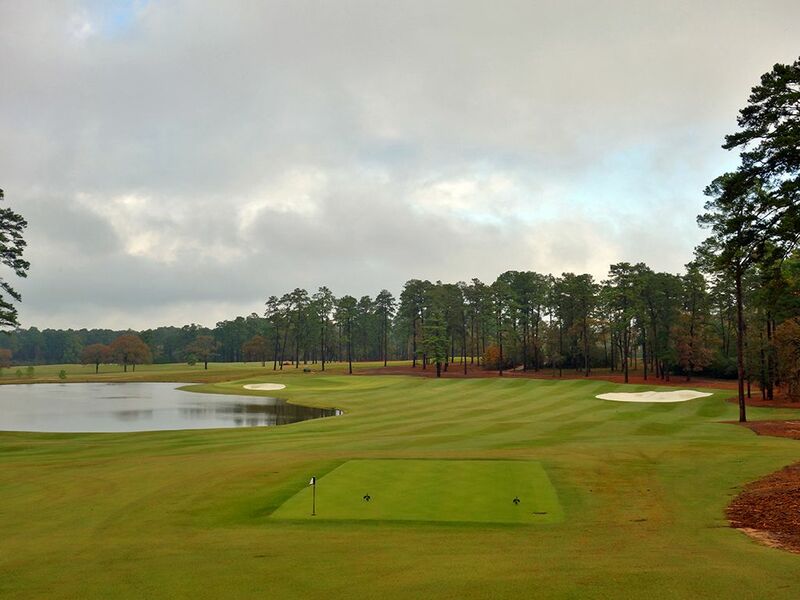 It is a great start to one of the best golf course experiences in the South. Best Par 5: 13th Hole – 508 Yards – It is rare that the main reason I feature a par five is because of the green, but the 13th is an exception. Before getting to the putting surface though, there are just over 500 straightaway yards to cover from the tips which sets itself up nicely for a scoring opportunity and a great chance at reaching the green in two. Your tee shot needs to thread the fairway bunkers located on each side of the driving zone in order to have an optimal lie for attacking the green in two, and landing in one of the deep fairway bunkers will instantly eliminate any chance at an eagle putt opportunity. Once in a position to go at the green, players will find themselves trying to calculate the best way to finesse their ball onto the angled Biarritz putting surface with a bunker protecting the front third and another protecting the back third. Depending on your angle, the bunkers combine with the depth of the Biarritz swell combine to hide much of the putting surface and create an approach that requires faith and skill. Three-putts are commonplace on this green, so make sure you find the correct tier on your approach and keep it to a one-putt. 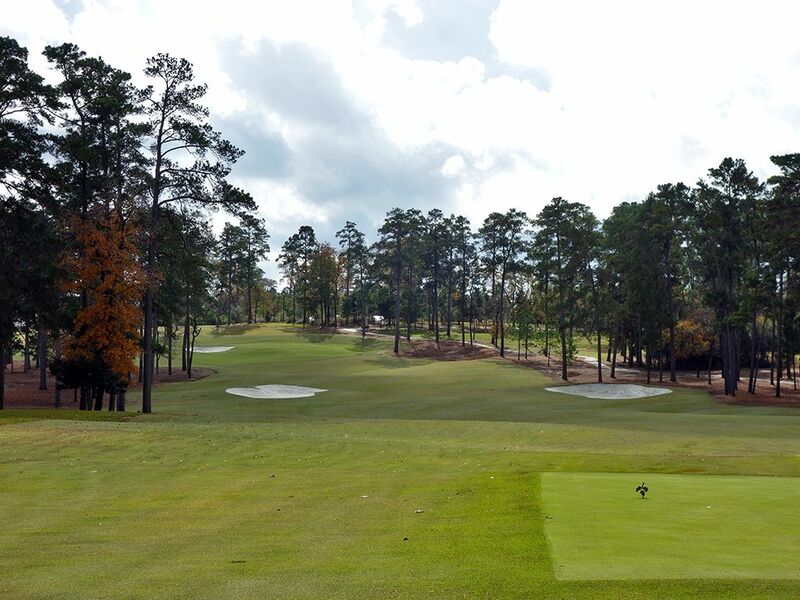 Birdie Time: 8th Hole – 318 Yard Par 4 – This is the hole at Bluejack National that the instant you walk off the green you'll find yourself thinking, "I want to play that one again!" Whether it is because of the great score you managed or the quad you threw on your card, the 8th beckons you back to challenge it and becomes an instant favorite, or least favorite, hole for many. At just 318 yards from the back tees, the 8th hole is a driveable par four that rewards players that can keep their tee shot far enough left, while avoiding the trees, to catch the speed slot and chase their ball onto the putting surface. Drives that are straight or slightly right will get sucked into the chipping bowl below the green and can quickly result in a solo game of ping pong. A chip that comes up short will come right back to your feet. A chip that goes long will likely find the bunker on the opposite side of the green and leave you with the toughest sand shot on the course since keeping the ball on the green takes the finest of touch to accomplish. It is not at all uncommon to see players back in the chipping bowl for their fourth, fifth, or sixth shot. 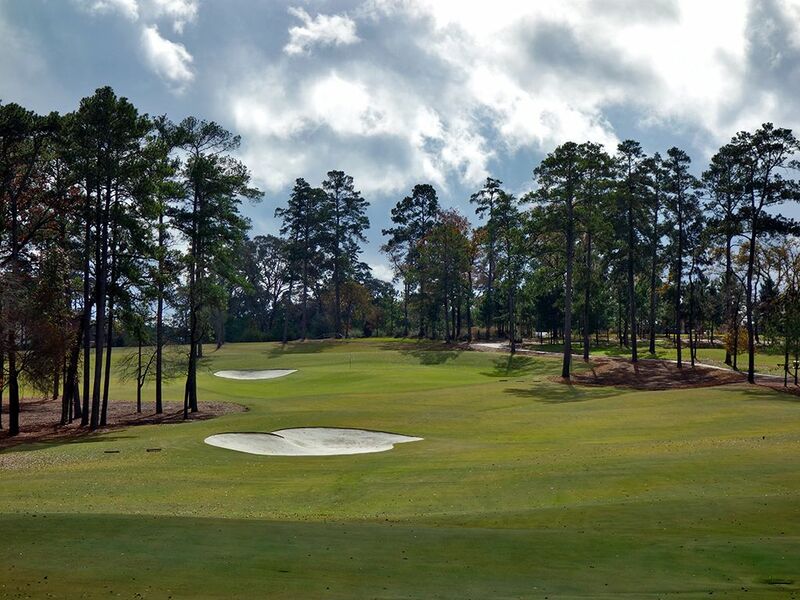 From a stylish deuce to an ugly snowman, the 8th can put a smile or frown on your face faster than any other at Bluejack and truly is an exceptional design. Bogey Beware: 18th Hole – 459 Yard Par 4 – In true championship fashion, Woods left the strongest par four of the course as its last. Players in a match need to show strength to the final swing and they'll be test on the 18th with a lengthy dogleg left. The tee shot needs to thread the bunkers placed on each side of the driving zone to produce the optimal result before attacking the green. The approach shot plays uphill to a putting surface flanked by a bunker on the left, a tightly mown chipping area on the right, and a false front staring back at you. Your best chance at avoiding bogey will be to stick the green or to use the backstop behind the green to work your ball back towards the pin. A miss short and left is brutal as it leaves you an awkward uphill chip from a tight lie to some tough pin placements. Players with the fortitude to finish with a par here deserve a pat on the back for a quality finish.